The good-natured, mutual barbing between England and France regarding the other country’s cuisine is legendary. The English mark French food as inedible and the French insist England only enjoys bland fare. However, English Cheddar with Claret (the English term for wine from Bordeaux), is a debate ending the French/English union. Signature tastes from France and England are swirled together in this delicious and beautiful cheese. 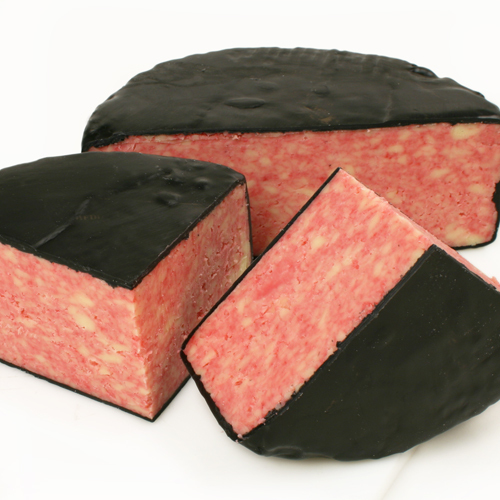 The intoxicating, distinct infusion of French Claret mingles throughout the rich, sharp and creamy flavors of real English Cheddar resulting in a compelling fruity and tangy entwining. The red wine boldly veins the pale colored Cheddar for a striking presentation. It is very difficult to argue when given the best of both worlds – and even more so when everyone’s mouths are full of delightful cheese. Application: An eye-catching addition to any cheeseboard, Cheddar with Claret’s bright coloring is great for holiday entertaining and adds a bit of flash to cheese recipe favorites like soup, grilled cheese sandwiches and mac & cheese. Pairing: The first assumption may be a red Bordeaux wine, but Cheddar with Claret works best with softer red wines like Pinot Noir or Beaujolais. A special favorite pairing for the holiday season is sparkling wine or Champagne. The specialty food company, MENU, located in Modena, Italy, is founded on producing a broad range of high quality, unique, semi-finished products, specifically designed to save time in the kitchen. MENU’s Orange & Onion Sauce is a gorgeous blend of sweet and sourness, delicious as is, or ready for a chef to add a personal touch before serving. Orange pulp and minced onion pieces create a lovely texture to go along with the superbly versatile taste. 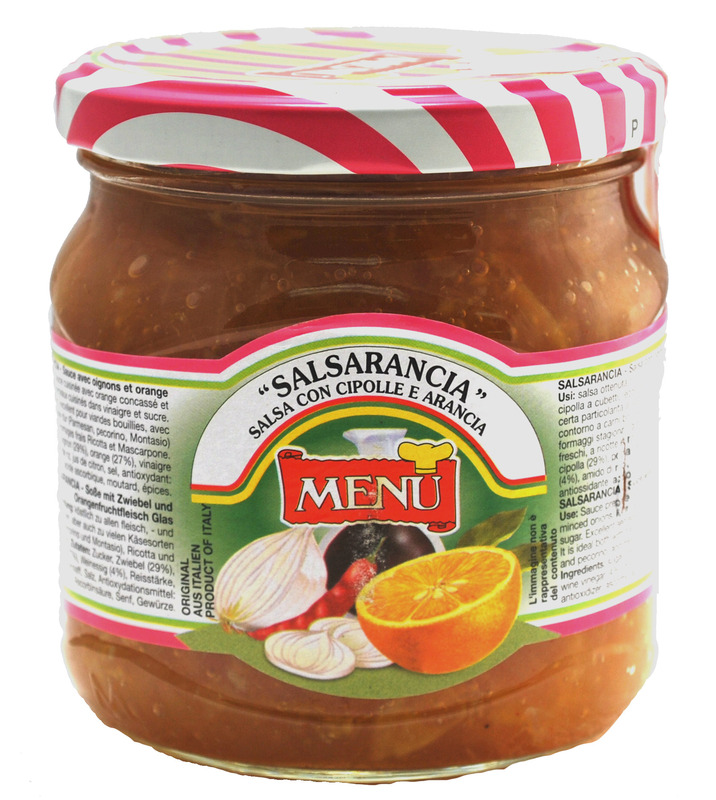 Great for both aged and fresh cheeses, MENU’s Orange & Onion Sauce is also perfect for dipping and enhances all types of flavors.